The world-renowned Mavericks big-wave surf contest appears to be in jeopardy as organizers seem to be drowning in debt. The contest's two main organizing entities, Cartel Management Inc. and Titans of Mavericks LLC, filed for Chapter 11 bankruptcy Tuesday, according to documents obtained by NBC Bay Area. In a statement sent out Wednesday, the entitities said they had lost up to $3 million since 2014 into developing the brand and staging of the annual event, featuring the world's best surfers. The surf contest is well known for the huge waves at Pillar Point Harbor, near Half Moon Bay, as well as the worldwide call for the top invited surfers to show up within 48 hours. But, as NBC Bay Area reported, the financial problems of the organizers were starting to create doubts about this year's event. The most recent financial setback was a $1 million lawsuit Cartel lost in Los Angeles late last year. It was not related to the Mavericks contest. The dispute over Cartel assets revealed other problems, including unpaid bills, unpaid contest permits and a lawsuit filed by former sponsor Red Bull earlier this month. 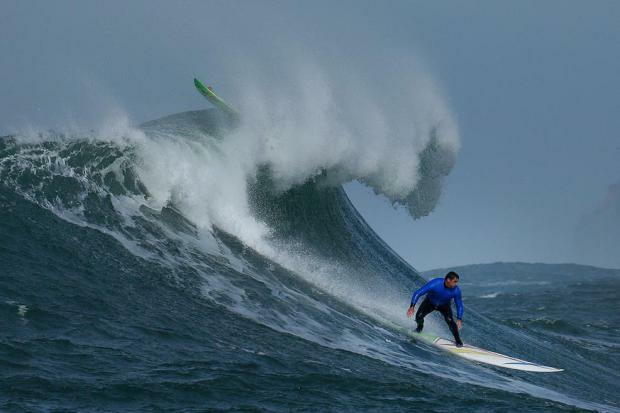 The world-renowned Mavericks big-wave surf contest appears to be in jeopardy as organizers seem to drowning in debt. Ian Cull reports. Some surfers had told NBC Bay Area they were concerned after surf conditions seemed ideal last week and organizers passed on green-lighting the contest. A San Mateo County Harbor commissioner, Sabrina Brennan, said she wasn't surprised by the bankruptcy filing and predicted "there will not be a contest this year." "I'm disappointed, and a lot of other people in the surfing community, surfers and fans, will be as well," Brennan said. "This was the first year that Mavericks was going to feature a women's heat. Now that opportunity is gone for now." "A lot of surfers, men and women, worked very hard to get ready for this contest," she added. "It's a real letdown to hear about these financial problems." The surf shop doesn't know what's next and employees there were completely blindsided by the organizer filing for bankruptcy. To be clear, Cartel Management is a separate entity from the surf shop. Michelle Cleave, a longtime surfer and friend of the Mavericks surf shop owners, has attended every Mavericks competition to date. She said there is the possibility of locals coming together to put on a surf competition, an idea that's been tossed around for a while. "There’s been other organizations that weren’t able to sponsor the contests on a continual basis," she said, "so it’s had some different iterations. It will continue on." NBC Bay Area's Pete Suratos contributed to this report.